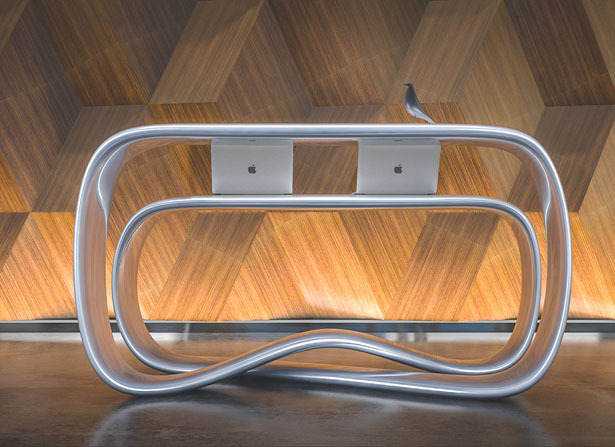 Nüvist Ryra Reception Desk offers a sculptural furniture that plays with soft and fluid lines. 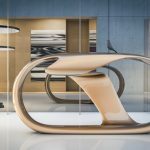 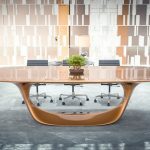 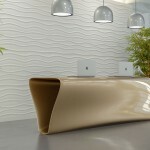 It’s an artistic piece that features curvaceous lines to create magnificent, continuous loop form and transform into an elegant reception desk. 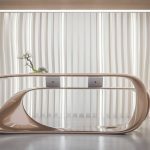 Ryra Reception Desk by Nüvist will accent modern and contemporary space. 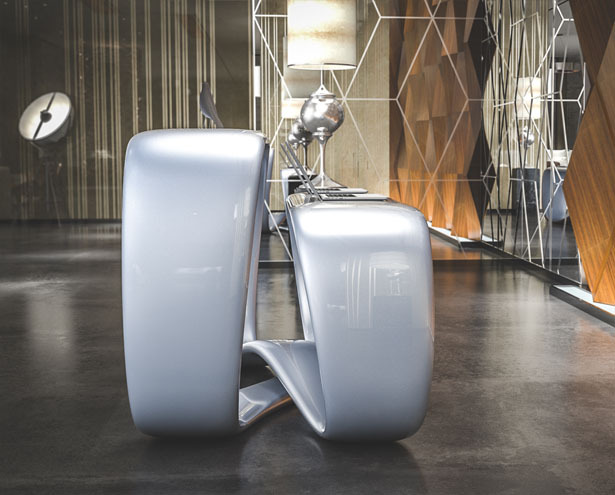 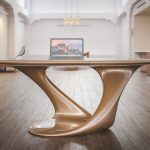 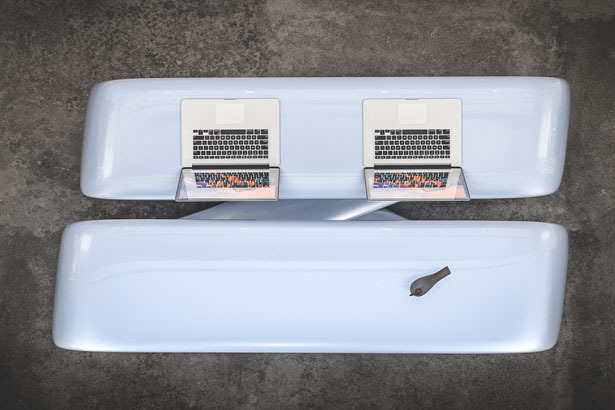 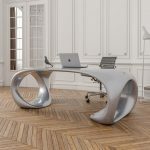 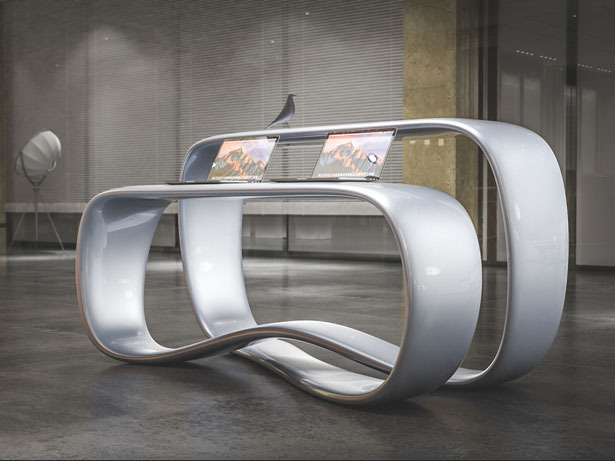 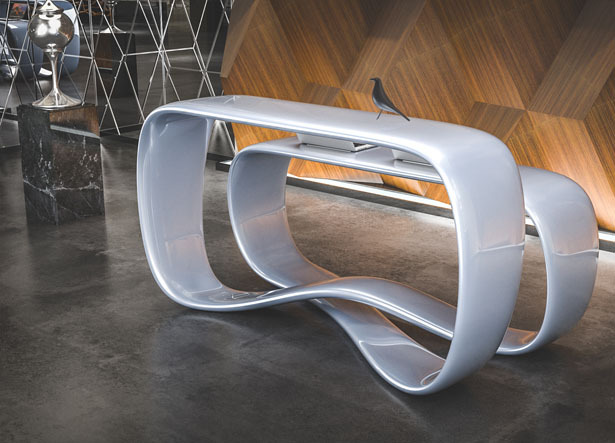 That fluid form creates dual-surface desk that integrates functionality and aesthetic in its design elements. 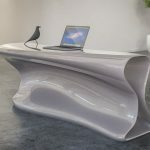 Tuvie has received “Ryra Reception Desk” project from our ‘Submit A Design‘ feature, where we welcome our readers to submit their design/concept for publication. 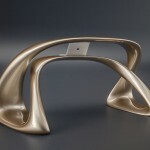 Tagged as artistic desk design for office, fluid form nuvist reception desk, modern reception desk.